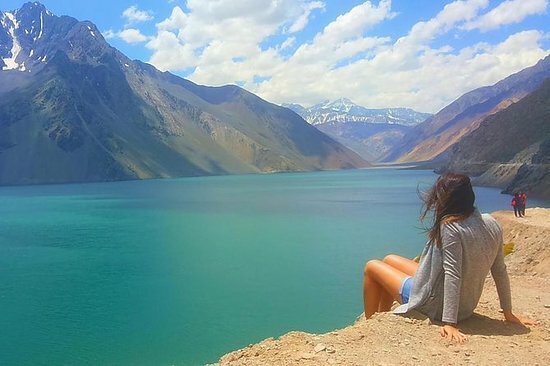 Related: What are the most popular tours in Santiago? We used Leonardo Cuzmar as well and we thought he was awesome. 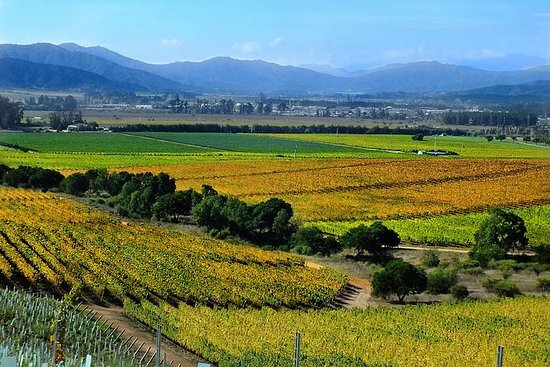 We were a group of 10 wine enthusiasts from Raleigh, NC on a wine trip to Mendoza and Chile. Leonardo was our tour guide in Santiago and Gustavo Delluchi was our tour guide in Mendoza. Both gentlemen did an outstanding job! Hello! My husband and I are planning a trip to Santiago, Vina del Mar and Medoza. Can anyone give us an idea as to how many days we should spend in each place? I'm definitely going to look up Leonardo and Gustavo for guides - thanks for your help! My friend and I also had the pleasure of having Leonardo as our guide in November. We had a very limited amount of time but he helped us make the most of it....knowing the best places to see and getting to them from Santiago as a day trip. We had great conversations on the drives and learned a lot about Chile in process. It was our lucky day when he came our way. And by the way we loved Cachagua a little coastal town...where it was possible to see Humbolt Penguins in their natural habitat. BEAUTIFUL spot...wow. I found Leo Cuzmar , a private guide while searching around on Tripadvisor. I had limited time while in Santiago so wanted to make the most of it. I'm so glad I contacted him. He is such a treat to be with. He is very knowledgeable about Chile and loves to provide as much information as you want. His english skills are very good so is able to communicate well. He is always on time and will go out of his way if you need something done or if you need to purchase something. He will customize an itinerary based on your requirements. You can spend as much time or as little time at any one place. He will even do pick up and drop offs at the airport. He is quick to respond to inquiries via email. And can be contacted anytime by cell phone. I found Leonardo Cuzmar through TripAdvisor and how pleased I was! Last week I was in Santiago, Chile and spent a weekend with Leonardo Cuzmar as a private guide. He drove me to Valparaiso and Viña del Mar with a stopover visit to an organic vineyard at Casablanca. It was a wonderful experience and one that I won’t forget. Leonardo is bilingual but spoke Spanish for me as I was in Chile to improve my language skills. He translated whenever I needed help. I recommend Leonardo to anyone who wants a guide. He is enthusiastic, has a good sense of humour, is very knowledgeable and makes sure that you enjoy your time there. He is also flexible and happy to suggest places that might be of particular interest. Reach Leonardo by email guideschile@gmail.com. My time with him was well spent and it was a lot fun too. Last week I was in Santiago, Chile and spent a weekend with Leonardo Cuzmar as a private guide. He drove me to Valparaiso and Viña del Mar with a stopover visit to an organic vineyard at Casablanca. It was a wonderful experience and one that I won’t forget. Leonardo is bilingual but spoke Spanish for me as I was in Chile to improve my language skills. He translated whenever I needed help. I recommend Leonardo to anyone who wants a guide. He is enthusiastic, has a good sense of humour, very knowledgeable and makes sure that you enjoy your time there. He is also flexible and happy to suggest places that might be of particular interest. Reach Leonardo by email guideschile@gmail.com. My time with him was well spent. I had contacted Leonardo only a couple of days before my arrival in Santiago, unfortunately he was already booked. However, he did arrange for another guide, Leo Carrasco - Leo was excellent, punctual, knowledgable and spoke very good English. I would recommend Leonardo Cuzmar or Leo Carrasco to anyone. I had also paid a deposit by Paypal which was honored. 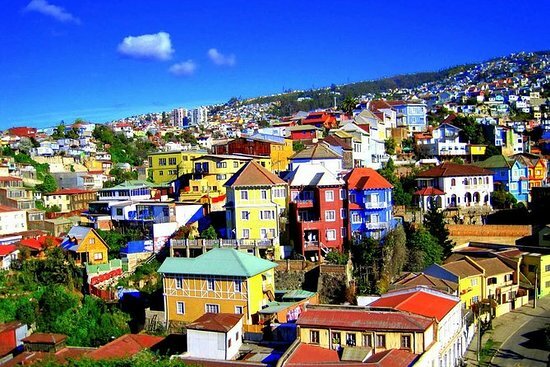 As part of a trip from Valparaiso through the fjords to Ushuaia, my wife and I were looking for a convenient transport from Santiago airport to Valparaiso. In tripadvisor we became aware of Leonardo Cuzmar. He perfectly understood our requirement after a 20+ hour flight and recommended only a stopover in a good restaurant on the way to the hotel at that day followed by a guided tour on the next day. Since he became ill he did arrange for another guide, Leo Carrasco, but still came to the airport to introduce us to Leo and presented a bottle of good chilean wine to us on top. Leo Carrasco was an excellent and very knowledgable guide and he made us aware of many details of Valparaiso and Vino del Mar which we would have never been able to discover ourselves. He created a very pleasant atmosphere, introduced us at good restaurants and selected delicious meals and wines. This was a warm welcome to Valparaiso and a good preparation for our trip and we always felt secure and comfortable, knowing that Leo would take care of us in any respect. We are going to Santiago In Jan 2012. What is the price range of a private tour as mentioned above? Is it daily, weekly or hourly? My husband and I, are just back from our South America cruise tour, and would like to mention Leonardo CUZMAN’s great guidance in Santiago and Valparaiso as well as Vina del Mar. Leonardo had been recommended to us by our airport-hotel transfer guy on the day we arrived to Santiago. Speaking over the phone with Leonardo, understood we could get both a transfer from Santiago to Valparaiso and a great guide service. I was convinced over the phone that our day would be worth what it was to cost. Next morning Leonardo was at our Hotel punctually and drove us to Valparaiso with a late model Mercedes van. On the way unfortunately the vineyards were closed due to ‘’Immaculate Conception Virgin Mary’’, but learned from Loenardo, why all those people were walking from Santiago to Valparaiso. He showed us all around in Vina del Mar, all around Valparaiso, including the lifts and best restaurants, he certainly has a perfect local knowledge and interesting social interpretations. He took his time, for us to enjoy all, despite a holiday was coming up and roads back to Santiago was to be blocked shortly. We highly recommend Leonardo CUZMAN. How do I get to the city from the airport?